New patients receive a comprehensive examination which includes a screening for oral cancer, gum and bone disease, blood pressure and systemic disorders. 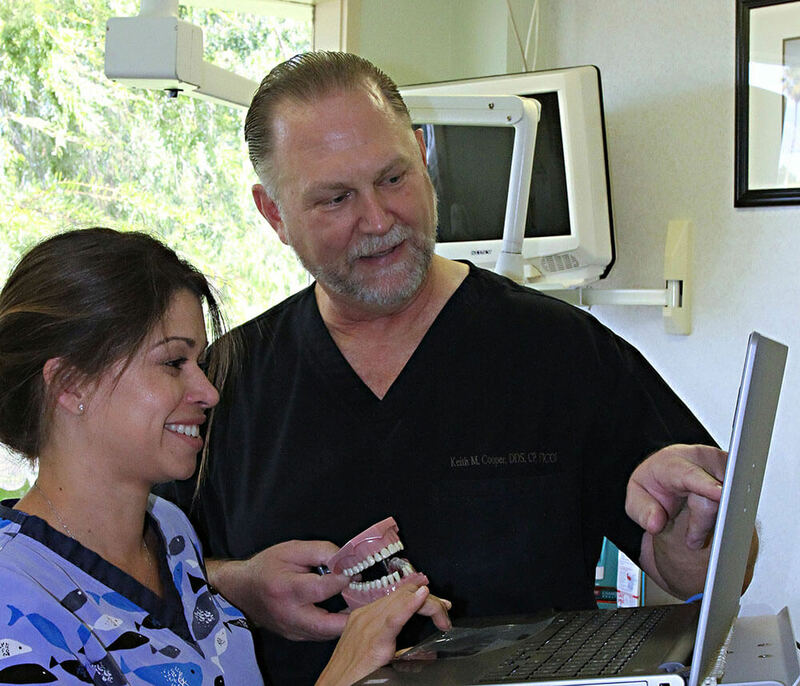 A routine oral exam is performed on established patients to determine any changes in dental and health status since the previous visit. Your gum tissue is measured with a fine instrument ruler to calibrate the pocket depth between the tooth and the connective gum tissue around the tooth in millimeters. Pockets measuring 4, 5, 6 millimeters and up is cause for concern and requires immediate attention. The deeper the pocket, the greater the extent plaque bacteria collects, and infection or gum disease develops. X-rays are taken as needed. Tooth scaling and root planing occur as needed. Routine cleanings also include a professional polishing (prophy) that removes only the soft sticky plaque that is above the gum line. If you suffer from gum disease, Dr. Cooper can treat your symptoms before it’s too late with tooth scaling and root planing. When performed together, these procedures offer a deep cleaning that will remove harmful bacteria from your gum tissues. Learn more about gum disease treatment. In order to maintain your oral hygiene, it’s essential that your brush and floss your teeth every day. Even more specifically, it’s important that you’re brushing and flossing properly to maximize your oral care. Explore our guide to healthy brushing and flossing.